Book Review: Coming to Jerusalem with your family? Instead of finding yourself reminding them to listen, nudging them to look and feeling more frustrated by the minute, use this experiential guide book and enjoy the trip. Here you are, in the Holy City of Jerusalem. You have been planning this family experience for ages, have perfect accommodations, decided to let everyone enjoy ordering what they prefer to eat (within reason), because this is going to be a very special vacation together. Perhaps you have also brought them to see or stay with family in Israel whom you want them to get to know: grandparents, uncles and aunts, cousins, etc. This is not just another family trip. It is not like going to Disneyland or Yosemite, Niagara Falls or the White House. That would be special, meaningful, historic, enriching and you may have already done that or plan to do it in the future. But now you have brought them home and you want them to internalize it. You want them to look at this trip differently, not at all the way they look at Yosemite, etc. Yes, the views will be spectacular, the trips exciting, the areas new to them, just as Niagara Falls is. The entire world is filled with the greatness of Hashem, but you want this country to tug at their heartstrings and you want them to feel that it is theirs, you want them to feel that they are part of this place, that they have come home, whether or not they decide to live here physically. That means they have to understand where they are going, gain historic perspective, identify with the stories that accompany the sites you are seeing – a very tall order. And if you are too eager or if you have planned a trip geared to adults, if you don't know when to stop adding information and if you don't think about which information to choose – you will lose them, yell at them, find yourself separating warring factions, hot, angry, begging, regretting, disappointed, looking desperately for the nearest ice cream store. You know what I mean. I talk from experience. Been there, done that. No matter how much you loved your own year in Israel or the vacations you took as a couple, that love doesn't transfer automatically. Your children may or may not listen to your stories, but they need their own experiences. And they particularly need action filled, hands- on things to do, geared to different interests and different personalities, ages, attention spans and abilities. This is where ScaVentures Jerusalem: The Experiential Guide Book comes in. 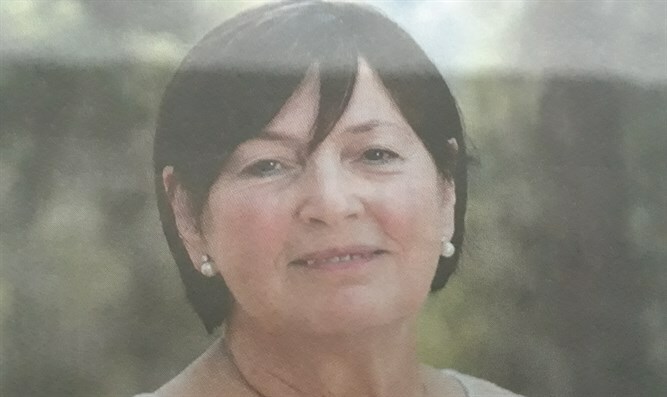 It was written – or shall I say created – byTali Kaplinski Tarlow, a renowned and highly experienced educator and guide, originally from South Africa, who also created the hugely popular educational tour game company Israel ScaVenture tours using the principles of experiential education. First of all, instead of getting exhausted and losing your audience while trying to see everything in Jerusalem in the time you have, the book suggests five different historic areas of the city to see. The Old City's Jewish Quarter, the Mishkenot Shaananim area, the First Station, Machaneh Yehuda market and Mount Herzl. There are over 100 missions, but you don't have to do all of them. Then, following the book's clear instructions and assembling the list of things it asks to bring with you, you will find your kids exploring, searching for clues, reading stories, completing quizzes. Each child decides what role he wants to play – perhaps the one who takes pictures all day can volunteer to be the photographer, the organized one can be navigator, the bossy one mission manager, the can't-stand-still one the detective. They all have missions in each place and they will be going back 3000 years, with Information presented in an attractive way, pictures and guidelines, games and directions. You can use the internet on a smart phone or do without it. Here is a brief example of how one area, The Zion Gate, one of five units of the Old City tour is covered. 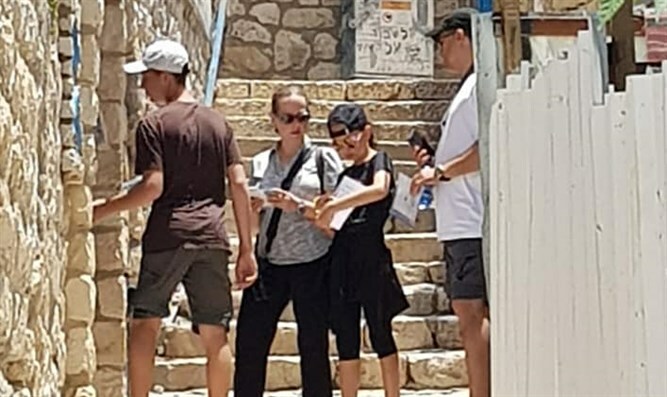 Turning to it, one sees that it starts with basic information, then quickly switches to a mission – doing a crossword puzzle challenging the group to find the names of all 8 Old City Gates, more information for those who wish to read or listen to it, statistics, fun facts. There is history: what was the situation at this spot in 140 BCE, 70 CE 1099, 1500s, 1800s, 1948, 1981. The layered history of the city becomes clear with an easy color coded map of the area. The mezuzah in the gate is turned into the way to learn about the mitzvah itself, leading to a discussion on how to provide security and the reason the gates were built in a certain way in ancient times. There is an experiential part, drawing a protective gate. The kids will do a good deal of the exercises and will remember the important parts, because they experience them. As in all the units, don’t' feel driven to do everything in the unit, unless your kids are especially interested, never force them to do parts they don't want to do. There are over 100 missions, you don't have to do them all and don't do all of one unless everyone wants to. Enjoy the extras, found in pockets pasted into the book: Picture pack challenge, Route maps and a Train game. Your tour of Jerusalem will be memorable and informative, emotionally satisfying and humorous. There is, however, one thing which I hope will be changed in further editions - of which I am sure there will be many! The book begins with a dateline of Jerusalem through the ages (see illustration) which should be an inspiring starte. However, in my opinion, it misses the point of the layers of Jewish history in the city, a golden opportunity to show Jewish connection to Jerusalem. It cites only those who ruled or controlled Jerusalem, from the ancient Canaanites to the State of Israel, skipping the visual effect of showing how the Jews were here throughout and the periods they were not allowed to live in the city. Who ruled the city in the history books is less important than the fact that Jews yearned for the city and braved difficulties to be in it. 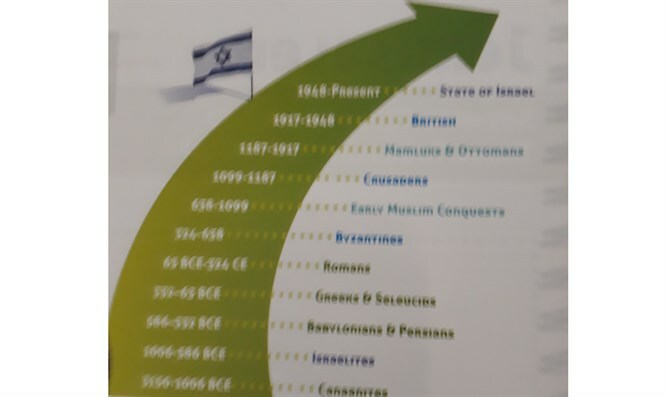 It needs to show how Jews were attached to t he land using a graphically attractive idea, emphasize Jewish longing and continuity – either asterisks, footnotes, background collage to t he present labels to involve Jewish history – or use double dating and have Jewish events on one side of the dates. It needs to have Abraham, Joshua, Judges, David's conquest of the city, the date of the 1st and 2nd Temple destructions, the Bar Kochva rebellion, the Sefardic community when Ashkenazim were not allowed, the years the Old City shuls were built, the expulsion in 1948 and how many Jews lived in the New City at the time, and more. All of the above or at least most of them. The list has Babylonians, Persians, Greeks and Romans, but I suggest it be on a background picture of Jews praying towards Jerusalem, juxtaposed with Jews at the Kotel today, and the words Next Year in Rebuilt Jerusalem somewhere visible. I found that an anomaly in a book whose pages mark Jewish attachment to the city clearly and unequivocally. And although, as a parent, you can easily fill in the gaps and explain the dateline as missing the Jewish emphasis, I expect more from the popular and charming author . And oh, yes: Whatever you do, don't forget your hat and water!